Rice farmer Koji Kato checks his produce in Fukushima. 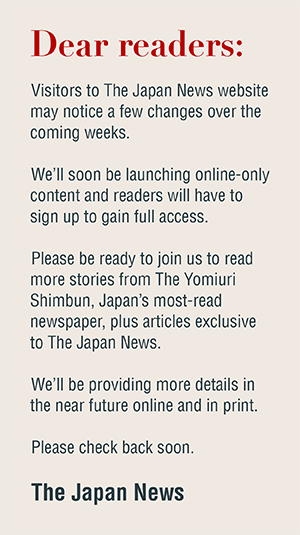 The Yomiuri Shimbun This series discusses the present and future of washoku traditional Japanese cuisine. In this installment, we explore Japanese food in connection with the 2020 Tokyo Olympics and Paralympics. Farmers wishing to supply food to the Athletes Village for the 2020 Tokyo Olympics and Paralympics are required to obtain certification in Good Agricultural Practice (see below), a system to assess safe measures in food production, methods to protect the environment and other criteria. While a number of GAP certificates have been awarded in an effort to make the system a lasting legacy of the 2020 Games, the initiative has yet to fully take hold. Last November, Koji Kato, a rice farmer in Fukushima city, obtained a GLOBALG.A.P. certificate, awarded to those who meet an international standard that originated in Europe. To be certified, applicants have to create a checklist comprising nearly 300 items and then receive confirmation that they are implementing them. Criteria include proper use of agricultural chemicals and measures to prevent workers from being injured. The system benefits both farmers and consumers by ensuring a safe work environment and the safety of food products through objective assessments. “Even when our rice clears checks on radioactive substances, we sometimes see consumers shy away from it just because it comes from Fukushima Prefecture,” Kato said. “I hope obtaining GAP certification will help change their perception [of our rice] so it’s viewed as something that’s safe. The organizing committee estimates that the Athletes Village will require 13 tons of rice, 39 tons of cabbage, 37 tons of tomato, 51 tons of chicken and 37 tons of pork, to name just a few items. All agricultural products served in the Athletes Village must be GAP certified. There are several GAP standards, from a global standard to those established by prefectural governments, each with differing criteria. Products certified under any GAP standard can be provided to the Athletes Village. There are also specific criteria for providing fish and livestock products. GAP-certified farmers currently produce 21,739 tons of rice, 16,385 tons of cabbage and 19,983 tons of tomato, among other items, according to the Agriculture, Forestry and Fisheries Ministry. Efforts to utilize GAP-certified products have been increasing. For example, the Mie prefectural government in September served dishes with GAP-certified vegetables at a restaurant inside its shop in Tokyo that sells Mie specialties. Meanwhile, Aeon Co. aims to make all vegetables sold under its private brand GAP-certified by 2020, while Seven & i Holdings Co., Lawson Inc. and other retailers also sell GAP-certified vegetables. However, though awareness of GAP certification is spreading ahead of the 2020 Olympics, momentum is insufficient to establish the system as a permanent legacy of the Games. According to the GAP Research Institute, GAP-certified rice accounts for only 0.28 percent of domestic produce, with the ratio 1.14 percent for cabbage and 2.77 percent for tomatoes. Only about 15,000 farming households have received certification out of about 1.16 million nationwide. “Many farmers have obtained GAP certification in the United States and Europe, and [Japanese farmers] are also encouraged to demonstrate scientific proof of the safety [of their products],” said Hideaki Karaki, professor emeritus at the University of Tokyo and head of the Foundation of Food Safety and Security. A system for certifying farmers that meet standards in food safety, environmental protection, work safety and other areas. According to a survey conducted this year by the Agriculture, Forestry and Fisheries Ministry, 631 farmers have been certified under the GLOBALG.A.P., an international standard originating in Europe. 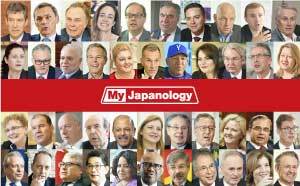 A total of 2,785 have been certified under a Japanese version called JGAP, while 10,614 have been certified under GAP programs that prefectural governments established following ministry guidelines. Kanoya Athlete Restaurant in Tokyo shared a sports nutrition recipe that is easy to prepare at home. The recipe includes tofu — good to eat both before or after physical exercise because it is rich in high-quality proteins and easy to digest — and mushrooms, which have dietary fibers that improve your digestive health. 1. Cut the tofu in half. Wrap the pieces with paper towels to drain water. Apply a small amount of light soy sauce (not mentioned in the ingredients list). 2. Cut off the shiitake’s stalk before slicing the top part. Cut off the base of the shimeji and break into pieces. Remove the base of the enokidake and cut the remaining part in half. 3. Put the mushrooms, dashi, light soy sauce, mirin, grated ginger and water in a pan to heat. When the mixture comes to a boil, turn off heat and add katakuriko dissolved into the same amount of water. Heat the pan until the mixture comes to a boil again to thicken into a sauce. 4. Pan-fry the tofu until it browns. 5. Place the tofu on a plate and pour the sauce on top. Sprinkle the banno-negi over it.